Security account logins provide corporate confidential information and customer personal information at once! 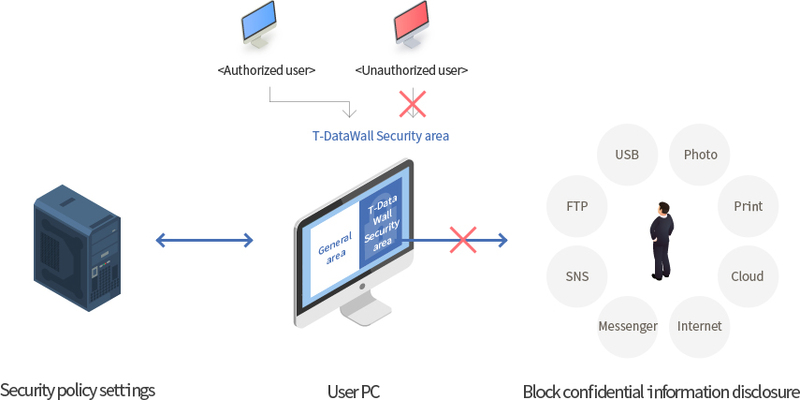 T-DataWall is a “area-encryption and integrated security management solution" that secures confidential or customer privacy in an independent space of the PC. Secure confidential information or customer personal information by organizing separate security space on your PC. This security space is protected by security policies and only authorized users and processes are accessible. Block information leakage due to external access media such as CD, USB, etc.